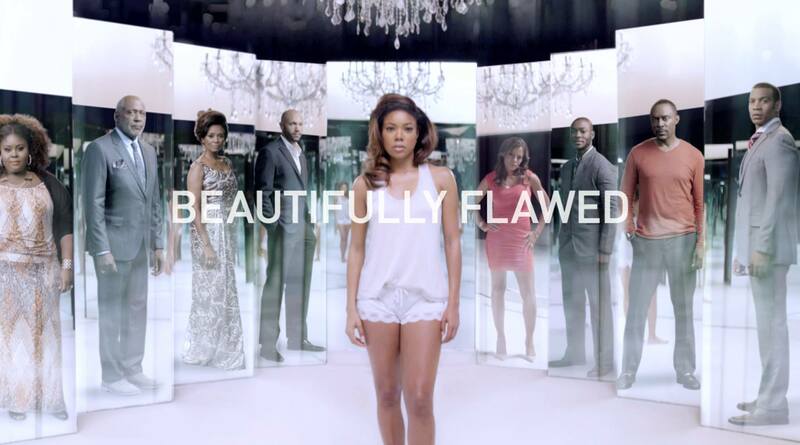 Being Mary Jane Season 2 premiered last night here in the UK (yes we are about 5 episodes behind our US counterparts but do join us as we recap this brilliant show) and the theme for this season is Beautifully Flawed. This episode aptly titled ‘People in Glass Houses Shouldn’t Throw Fish’ we start off with Mary Jane getting home, checking on and chatting with her gold fish and then in a millisecond Goldie (yes it is only right to name the gold fish) had been thrown out the window, shattering glass every where and was flipping for dear life. Could this be a sign of things to come in Mary Jane’s life this series? Mary Jane aka TGT aka The Goldfish Terminator then hosts a dinner party with her friends where their discussions range from black culture, education, religion however when Mary Jane’s younger brother PJ voices his opinion, Mary Jane who actually was a rather belligerent drunk takes on to bash her brother in front of her friends to which PJ responds with stating this is the reason David is not with her and with the other woman. PJ!! Ouchhh!!! Of course on that note party done. When Mary Jane wakes up in the morning we learn that probably due to the emotional stress and being drunk Mary Jane wet the bed. We also see Niecy asking her aunty Mary Jane if she can come to stay with her and save her from the wrath of her grandmother Helen (Margaret Avery or the unforgettable Shug Avery from the Colour Purple) who at every minute loves to remind Niecy whose house she lives in. So we see a moment between auntie and niece and them getting along and Mary Jane offering to pay tuition fees for Niecy to pursue her nursing school education. In this we see Mary Jane as a caring and giving person who is there for her family. On the work from we see Cara pitching to Mary Jane that she freeze her eggs on live television and have the network foot the bill, Mary Jane actually stuns Cara with how she actually jumps at this without need much convincing or a prezi presentation. Mary Jane then goes round to Chris and his wife’s home – they were introduced us earlier as having been David’s friends whom Mary Jane was now hanging out with for the sole purpose of wanting to find out more about David. Chris puts an end to it, by having David tell Mary Jane over the phone that he and his new girlfriend are expecting. When Mary Jane gets home she finds her brother and Niecy arguing and she opts out of this family drama and books herself into a hotel. She does invite David over and he comes by, and we learn that during the time that Mary Jane and David were still a couple before David was a silicon success story, Mary Jane had an abortion and Mary Jane thinks the reason nothing in her personal life seems to work out is because she is being punished for this choice. The two sort of fall into old habits but Mary Jane stops the canoodling fest by saying ‘That was supposed to be our baby’. iii) ‘I need closure more than I need my pride’ – Mary Jane logic for going to an ex’s friends’ house to get the 411 on why he has moved on to some-one else. d) Being tech savvy means having your techie ex on Google Alerts…who has had/ still has their entrepreneur bae on Google Alerts? f) ‘I want the life that you have on Instagram’…’What I didn’t post was the fight that we had on the drive to your house’ = Instagram life is a LIAD!! 7) Hearts are meant to be broken. On behalf of all the women of colour in the UK I’d like to thank BET International and the show creator Mara Brock Akil for bringing Being Mary Jane to us, as we actually have ZERO shows like this. So thank you very much Mara, for creating a Beautifully Flawed Mary Jane Paul with a beautifully flawed story to share which sums up not just Mary Jane Paul’s life but all our lives really – as we are all beautifully flawed creatures. Thank you @ChaudMag for the update. I missed the premier of this season but I soo feel like I watched it. 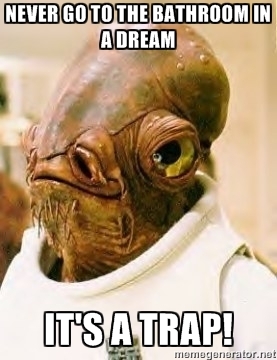 That Fantasia meme “deathly spoon”. And your #ChaudTakeaways, amen to all that… Kudos.